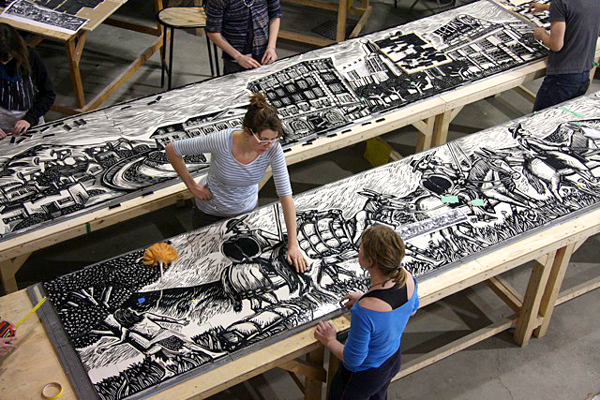 Artisans at the artwork fabricator, Mosaïka Art & Design, working on Gonzalez’s art panels. 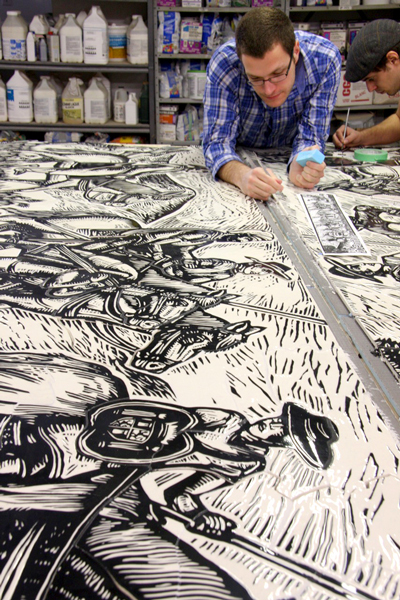 Highly skilled artisans translated the artist’s original black and white linoleum prints into pieces of hand-carved, hand-glazed porcelain. 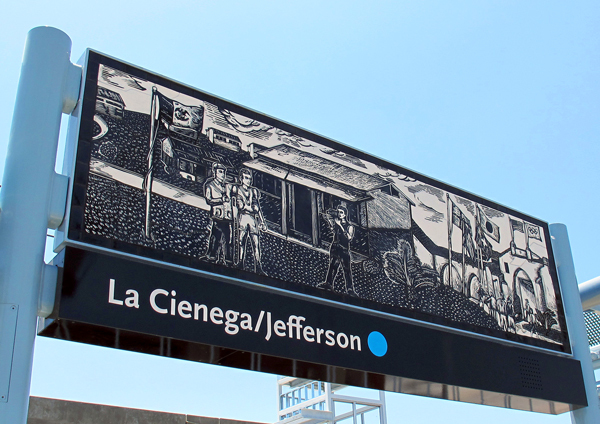 Daniel González’s artwork for La Cienega/Jefferson Station illustrates the history of the Ballona Creek and the surrounding environs, including the people who have called the area home. More photos of the artwork are after the jump. 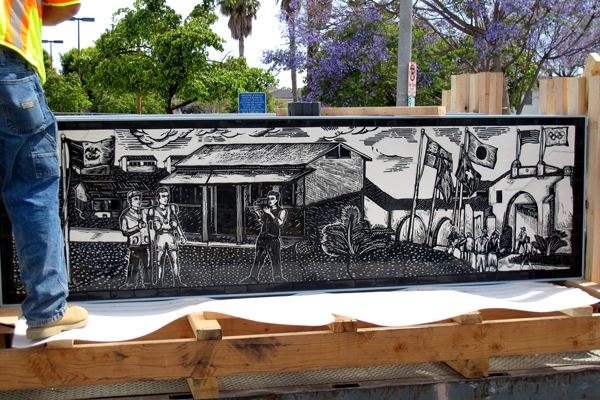 An art panel sits on the back of a truck, just before it is installed at La Cienega/Jefferson Station. This panel depicts the 1932 Olympic Village, which was built in the Baldwin Hills. The concept of the Olympic Village originated with the 1932 Olympic games in Los Angeles. It later became the norm for the host country to build accommodations in this fashion for visiting athletes. 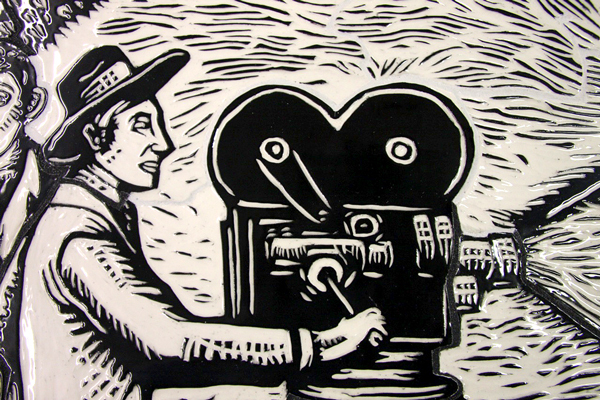 The art panel pictured above, now in its new home on the station platform. Many people are anxiously awaiting the opening of the Expo Line, what is taking so long? 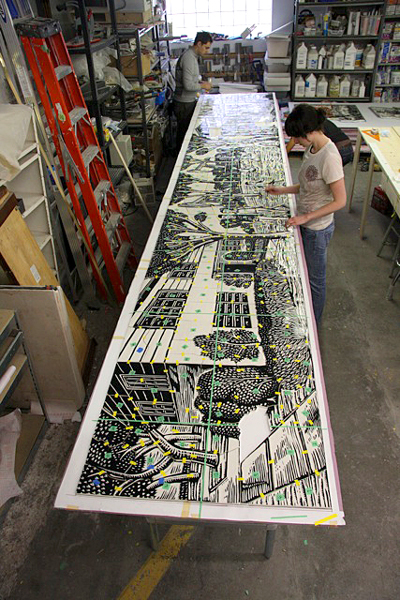 This sounds really cool, especially the part about the creek flowing through the art panels. I would like to see just how the flowing water links images through time. That is far out. @ Juan Peido: According to http://thesource.metro.net/2012/03/23/more-on-the-expo-line-opening/ the Expo Line will open on April 28.